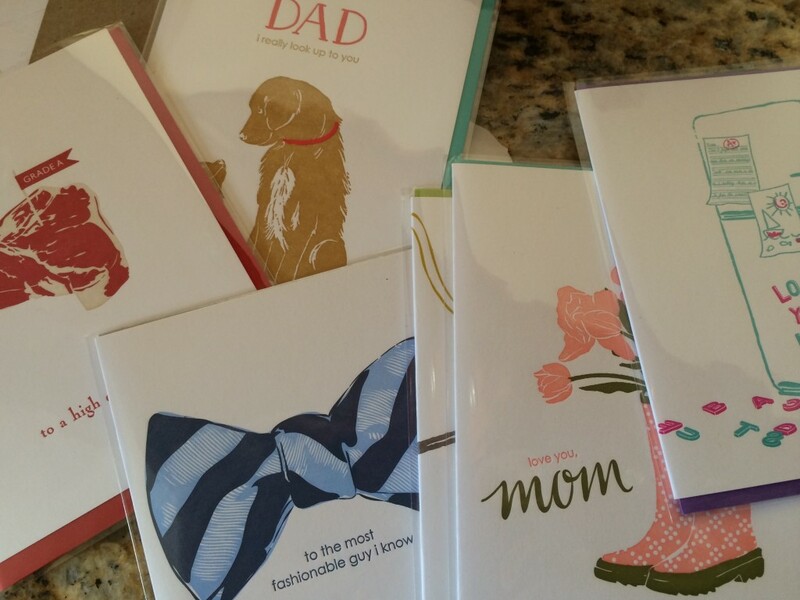 Do you have trouble finding the prefect Mother’s Day Cards for your loved ones or maybe just for your girl friends. Well I recently was introduced and provided samples of Mothers day cards and Father Day cards from a company called Smudge Ink. They are simple in design but get the point across in a unique way. All the opinions expressed are 100% my own. Smudge Ink offers a full line of stationery products, including greeting cards, boxed notes, calendars, notebooks, notepads, wrapping paper, gift tags, writing sets, and more. We proudly make all of our products locally. Our letterpress products are printed by us in our studio in Boston, and our growing line of offset-printed (or flat-printed) products is produced in Maine. Just looking over the Mothers Day card offerings you are bound to find a card that suits one of your recipients hobbies. Smudge Ink is committed to minimizing its impact on the environment and takes pride in making a conscious effort to recycle and reuse almost everything in our working studio. We source post-consumer recycled paper and envelopes for all products. We also partner with companies who actively engage in and encourage environmentally responsible practices. So before heading out to get generic looking Mothers Day cards, be sure and check out Smudge Ink. I am not familiar with this company but their cards do look very unique! Will keep them in mind! adorable cards! I have never seen these before!